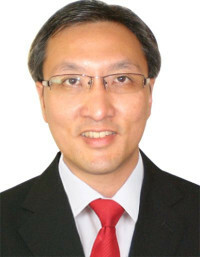 Vice President of Exploit Technologies Pte Ltd (ETPL), commercialization arm of A*STAR, ex-Head of Investments, Rowsley Ltd.
Mr Kai Hoo Quek serves as the Vice President of Exploit Technologies Pte Ltd – the commercialization arm of A*STAR, a government-owned research organisation with 5,000 plus headcount. Previously, Mr Quek served as the Head of Investments at Rowsley Ltd. since August 2010 until May 2016. Mr. Quek also served as a Director of Investment & Corporate Affairs of Unisteel Technology Ltd. and served as its Director of Strategic Business. He led the M&A activities and served as a General Manager at Unisteel Technology Ltd., a company that was listed on Singapore Exchange and later bought out by private equity firm KKR. He has extensive experience in private equity, mergers & acquisition ("M&A") and operations management. He evaluated and carried out direct investments and fund-of-fund investments with Rothschild Ventures, Temasek Holdings, HRJ Capital and Kestrel Capital Partners. He was based in Shanghai for two years as the Chief Rep of HRJ Capital’s representative office there. Mr Quek holds Master of Science degree in Industrial & Operation Engineering and a Bachelor of Science degree in Electrical Engineering from the University of Michigan (Ann Arbor). Additionally, he is also a CFA charterholder, which he obtained in 2004.